On one hand, moving to another city can be an exciting adventure. On the other hand, it could be a stressful time if things go wrong. This report explains the 9 most common mistakes when people relocate. When you plan ahead, you will avoid these pitfalls and ensure your move is handled smoothly. Contact the chamber of commerce, tourism department, municipality or library in your new community. At the same time, compare salaries, cost of living, taxes and housing prices. Before you sell your home, complete repairs. Often, it is the little things, like chipped paint, worn caulking and sticky doors that potential buyers notice. Have your home cleaned, including carpets. Have a Comparable Market Analysis (CMA) completed by one or two Real Estate Professionals to ensure a competitive price. 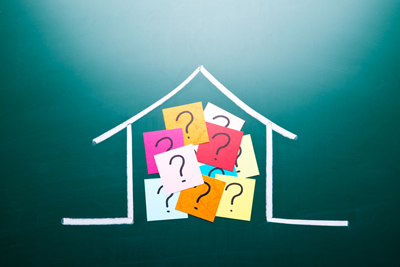 You may need to set up temporary housing arrangements until the closing of your new home. This could take from a few days to a few months. If you need interim housing for a few days, perhaps staying in a hotel is the simplest solution. For housing longer than a month, you may want to consider an apartment with a short-term lease. This applies for both the home you are selling and the one you are buying, although who pays for the inspection (buyer or seller) is negotiable in each separate contract. During relocation a child could feel lost, sad, angry or confused. Sometimes, under the stress of completing so many details, the temptation is to get settled as quickly as possible so everyone feels at home. Talk to your children during the process. They will feel safe, cared for and comfortable. Acquaint your children with the new neighborhood. If possible, have them meet new teachers and other children in their new school before moving. Try not to move in the middle of a school year. Sometimes, when people move from familiar surroundings to a new community, culture shock can manifest. Symptoms can range from headaches, stomach aches, impatience, sleep problems to anger. These feelings are all normal and do pass over time. It may be helpful to incorporate the old with the new. This could include taking classes, joining clubs and pursuing activities you once enjoyed. It takes about six to ten months for someone to feel “at home” in a new community. Read your employer's relocation policies carefully, for the amount of reimbursement. Keep good records and copies of your receipts, as moving expenses are deductible under certain conditions established by Revenue Canada.